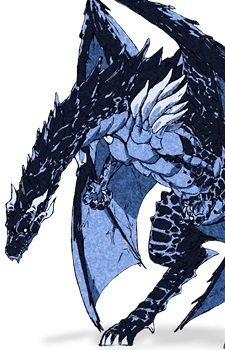 "Death Heralding Wind" "Black Lighting" "Storm of Destruction"
The Youngest Brother of the Four Strongest Dragon-kin. Connected with Rimuru by a agreement. Has ability that surpassed Demon Lord, A "Disaster Class" Monster. Storm dragon Verudora. Rimuru's first friend and the one that gave him his name. He also received name "Tempest" by Rimuru thus became Verudora Tempest.